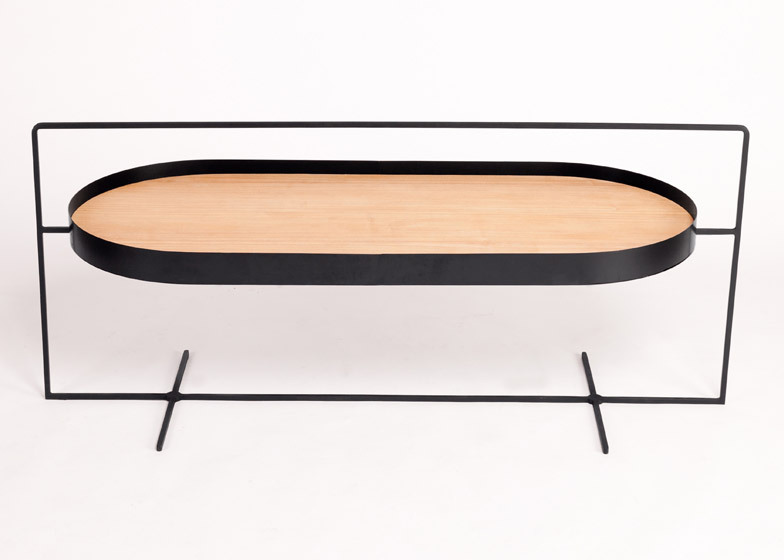 Chinese furniture designer Mario Tsai has created a pair of tables with frames that allow them to be easily picked up and moved with one hand (+ slideshow). 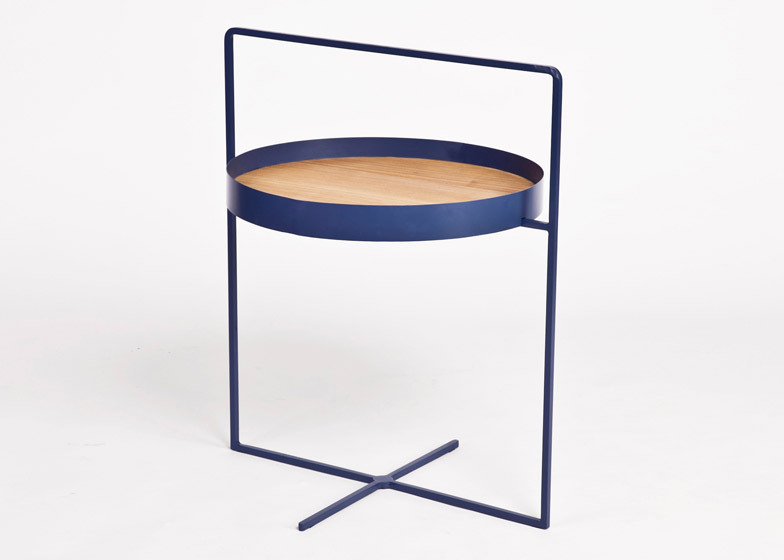 Tsai designed the Basket coffee and side tables to be "convenient for users", adding the handles for better portability. 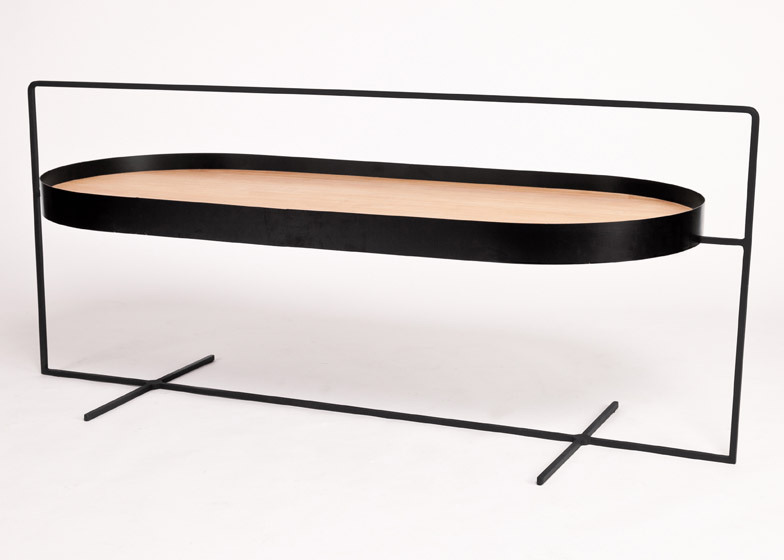 "I found people always use two hands when they move the coffee table, and it's inconvenient when they hold a coffee cup or some books, so I wanted to solve the problem," Tsai told Dezeen. 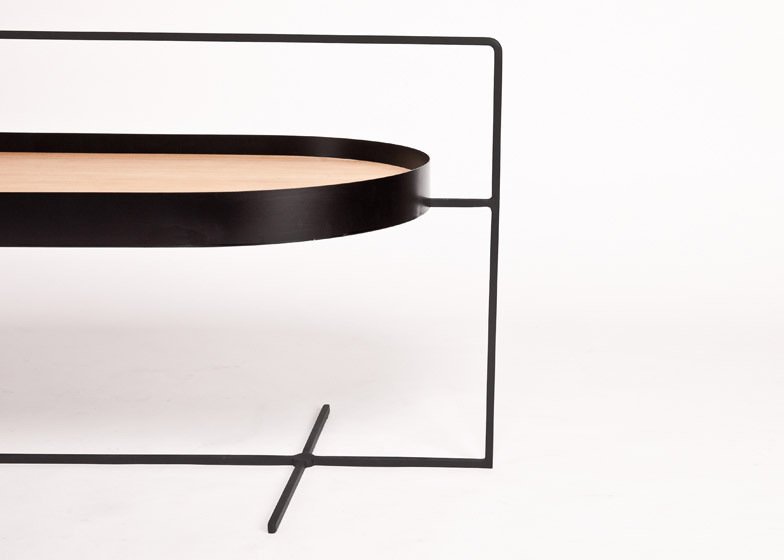 Both tables are made of a lightweight rectangular framework composed of a single bent metal rod. 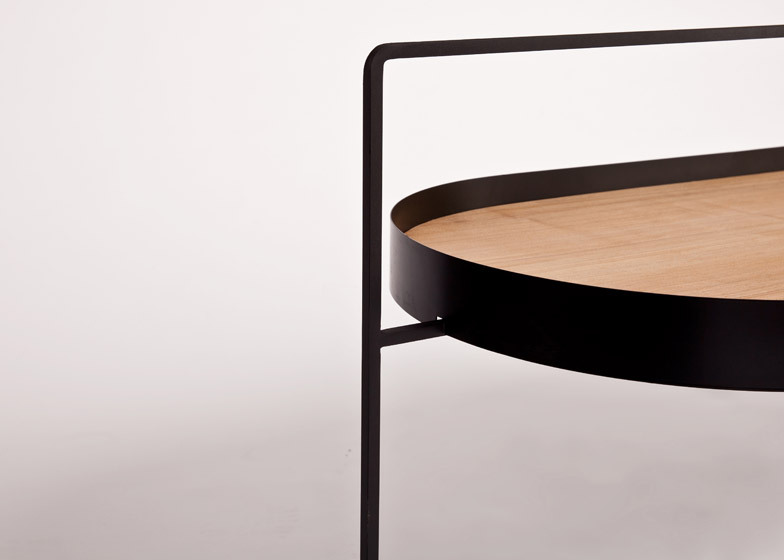 The wooden tabletop has a raised metal rim with two notches underneath – made by a computer numerically controlled (CNC) router – that allow it to slotted on top of two short supporting metal rods. 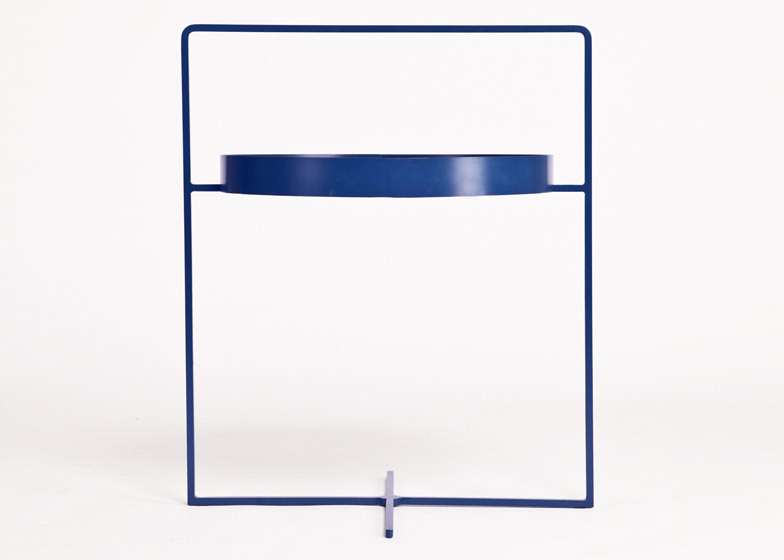 This means the shelf can be removed and carried about by the user as desired. 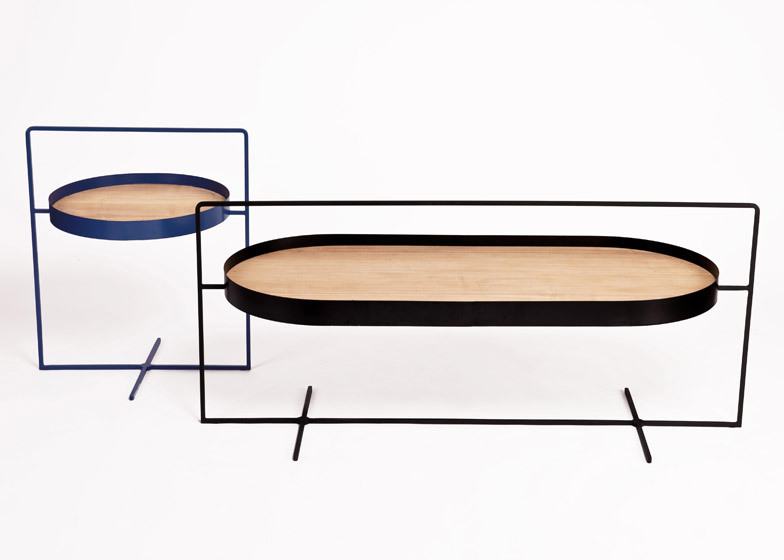 The shelves of the two tables rest at different heights, allowing them to overlap when stored. 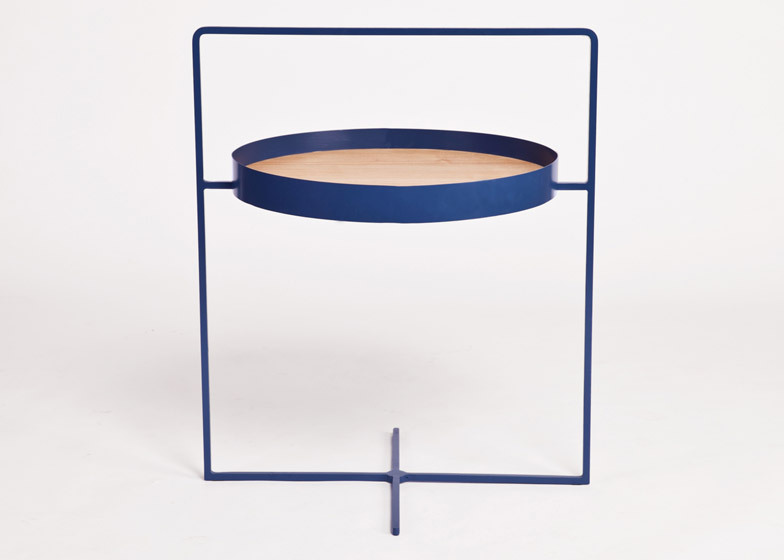 "I tried my best to use less lines and surfaces to simplify the basket," the designer said. 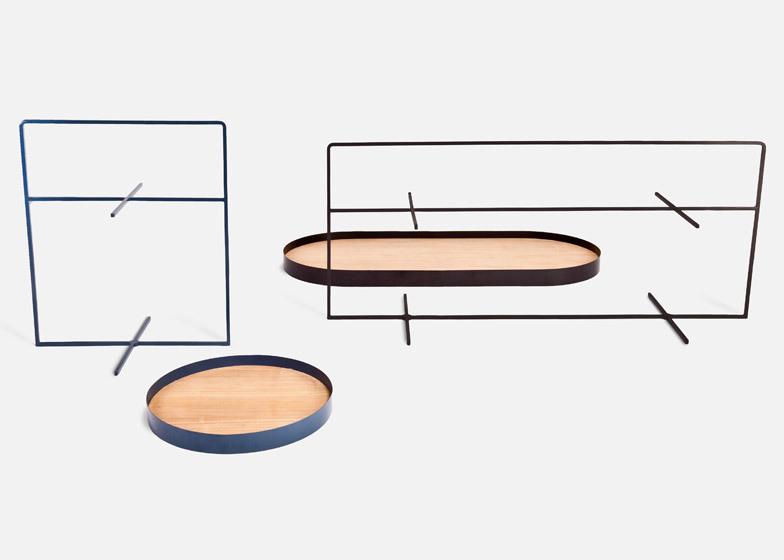 "I wanted to create a warm visual, so I used metal and wood to achieve soft minimalism." 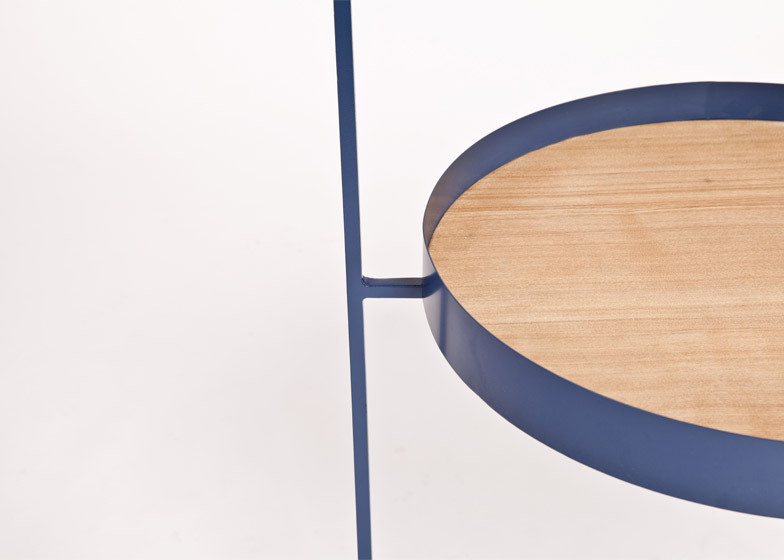 "If the tabletop or the table base is broken, we just need to replace one of them," he added. 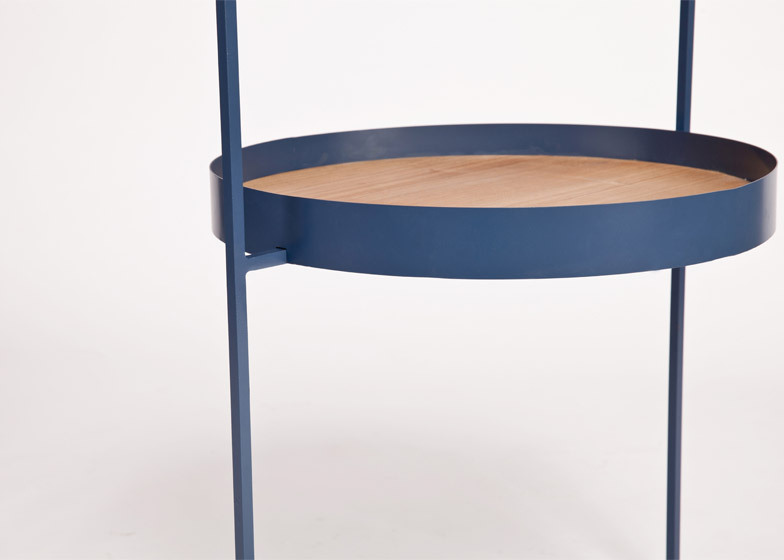 "I think it's a way to save resources for people, and it's good for the environment and users." 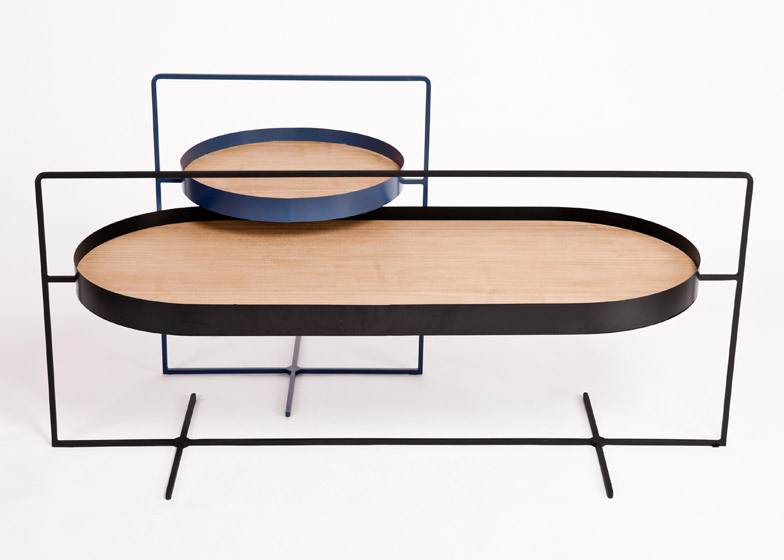 Tsai, who graduated from Beijing Forestry University, currently designs products and furniture as part of ZZ Design Studio, and has partnered with manufacturers from Italy, America and China. 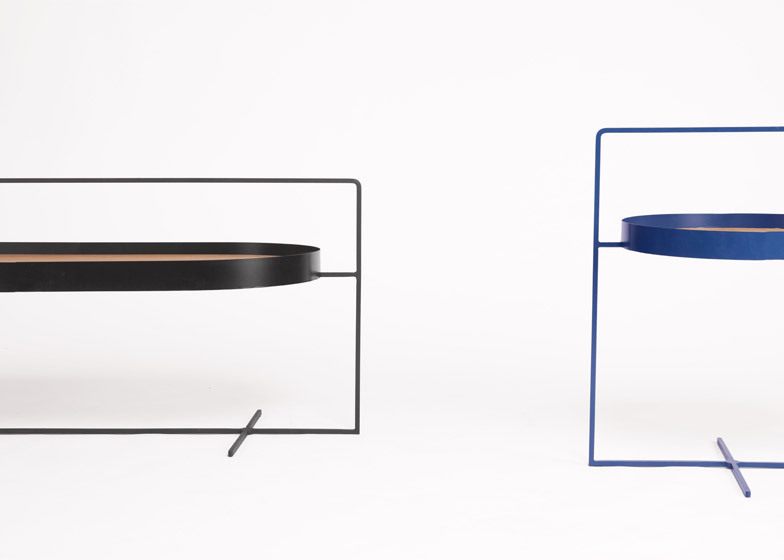 Other recent table designs include Tomas Alonso's pair of folding wooden stands for COS and Hay's collaboration, and Assembly Design's modular collection supported by poles that emerge through the horizontal surfaces.